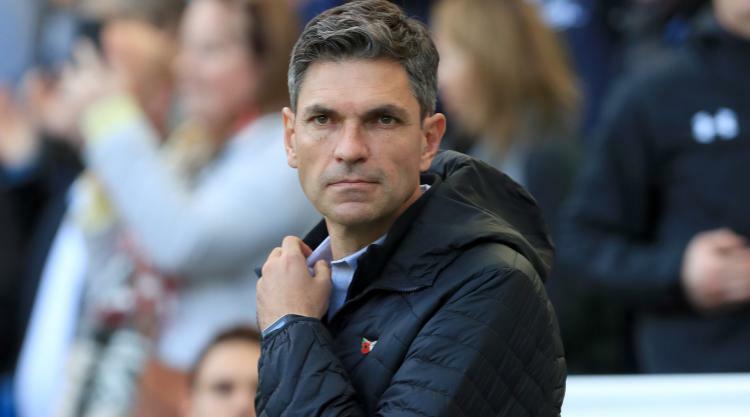 Mauricio Pellegrino has admitted he did not expect former team-mate Pep Guardiola to be so successful as a manager. The pair, who won the LaLiga title playing alongside each other at Barcelona during the 1998/99 season, will be in opposing dugouts on Wednesday evening when Pellegrino's Southampton attempt to end the unbeaten record of Guardiola's Premier League leaders Manchester City. While Pellegrino has yet to lift silverware as a coach, Guardiola has an extensive medal collection, picking up three Spanish league titles, three Bundesliga titles and two Champions League trophies during prosperous spells in charge of Barcelona and Bayern Munich. "I never imagined that he can achieve something like he did," said Pellegrino, who joined Barca on a season-long loan from Argentinian club Velez Sarsfield. "But obviously as soon as I arrived, Pep was one of these type of players always looking for new ideas, asking how we were training in Argentina, in different places. "And also he had a good reading on the pitch and it's something that after (he finished playing) he translated much better outside the pitch." Barca's 1999 title success proved to be the final of Guardiola's six LaLiga wins as a player with the Catalan club before he moved on to Italian sides Brescia and Roma before eventually hanging up his boots following brief spells in Qatar and Mexico. For Pellegrino it was his introduction to European football and he went on to enjoy a productive six-year stay at Valencia, winning two league titles and the 2004 UEFA Cup, as well as playing in two Champions League finals. The 46-year-old former centre-back retains fond memories of his single campaign playing with Guardiola at the Nou Camp under manager Louis van Gaal. "We were team-mates and I think we had a beautiful moment together," Pellegrino added. "We won the league, for me this experience in Barcelona was really good because I discovered a lot of things in European football. "My career in Europe started in Barcelona, I've always got nice memories of this moment."